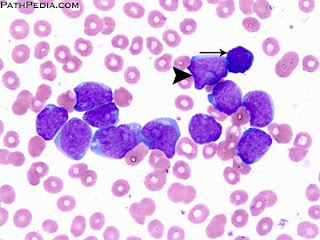 Azacitidine drugs can significantly prolong life for people with marrow disorders, cancer causes often leads to acute myeloid leukemia (AML). These are the findings of the University of Paris study, published in the medical journal "The Lancet" in the UK on 18/2. In clinical studies, tested the azacitidine group on 358 patients with a high risk of developing AML. Half of this is given azacitidine 7 days / month for 6 months. The rest were treated with conventional methods such as using painkillers and chemotherapy. Results showed that the use of azacitidine patients live longer than 9 months compared to patients treated with conventional methods. Researchers said azacitidine promote the obvious effects after 3 months of treatment and prolong survival time can be doubled if the patient used drugs in the past two years. This drug also has the effect of slowing the disease 6 months and increases the chance of developing AML completely or partially. However, the drug azacitidine also cause side effects similar to the treatment of AML. Frequency generated serious incidents related to blood in patients with slightly higher use of azacitidine in patients with the specified use analgesics, but lower than in patients treated with chemotherapy .